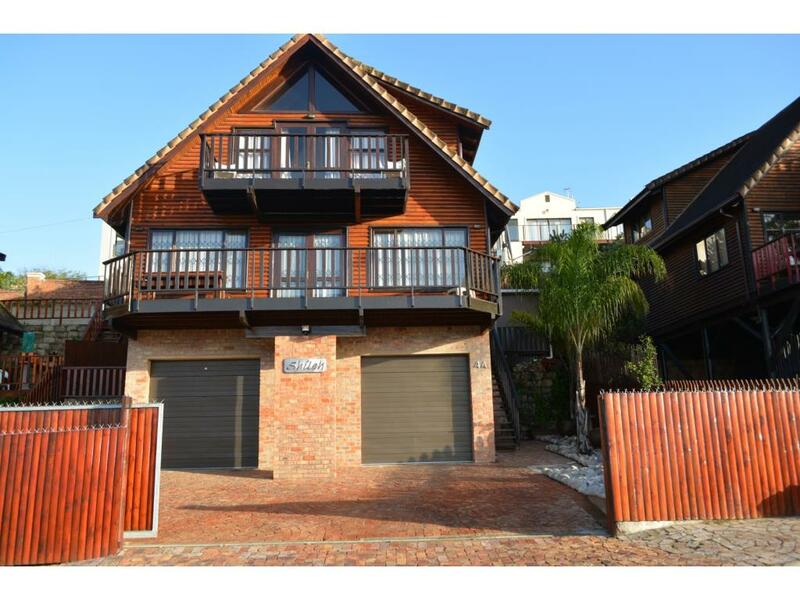 Three bedroom home in Paradise Knysna, furnished and equipped with quality ! " A stunning timber home awaits your arrival, its a beautiful home, furnished with good quality and equipped to the tee to ensure you will have an outstanding stay, and want to live here forever. The views are breathtaking ! Sit out on the deck, have your early morning coffee and allow the serenity, the lagoon view, the world famous Knysna Heads on the horizon . . .
Open plan living area, , with adjacent kitchen, cozy but totally workable. Downstairs is onee of the three bedrooms, and a bathroom. Easy steps up and you have the second bedroom, and the Main en-suite. The main has a delightful " Romeo & Juliet " balcony. Spacious living, such a little gem ! Bonus is the quaint patio with built in B.B.Q . . . . staggered easy maintainable outdoor areas, minimal garden to take care for. and neatly paved driveway and walkways. There is a seperate newly built laundry. Three bedroom home in Paradise Knysna, furnished and equipped with quality !